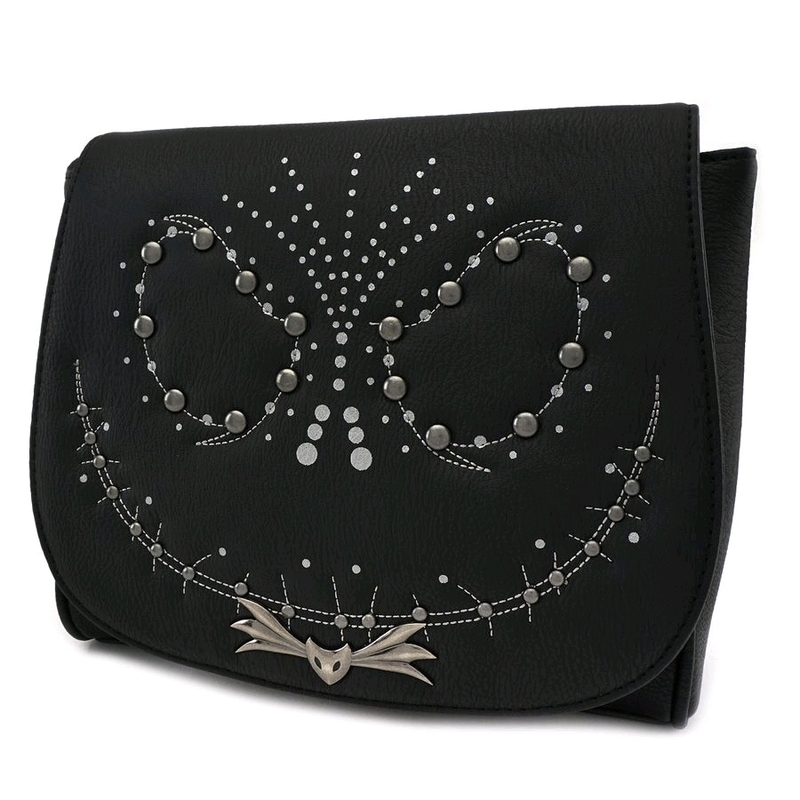 50% of people buy Loungefly: Nightmare Before Christmas - Jack Face Crossbody Purse and Loungefly: Nightmare Before Christmas - Jack Face Bi-Fold Wallet. Fans of Jack Sekllington and stylish purses should consider this nightmarish themed bag. With a subtle and fashionable design inspired by The Nightmare Before Christmas, it features antique details. This purse is constructed of faux leather and measures approximately 8.5 inches wide x 7" inches tall x 2.5-inches deep.